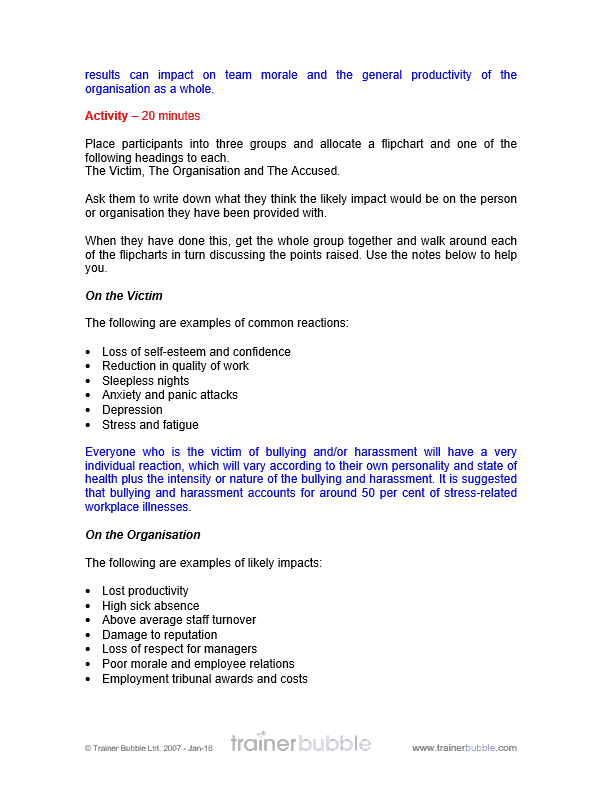 These training course materials cover the sensitive and important issue of bullying & harassment and is intended for all employees. 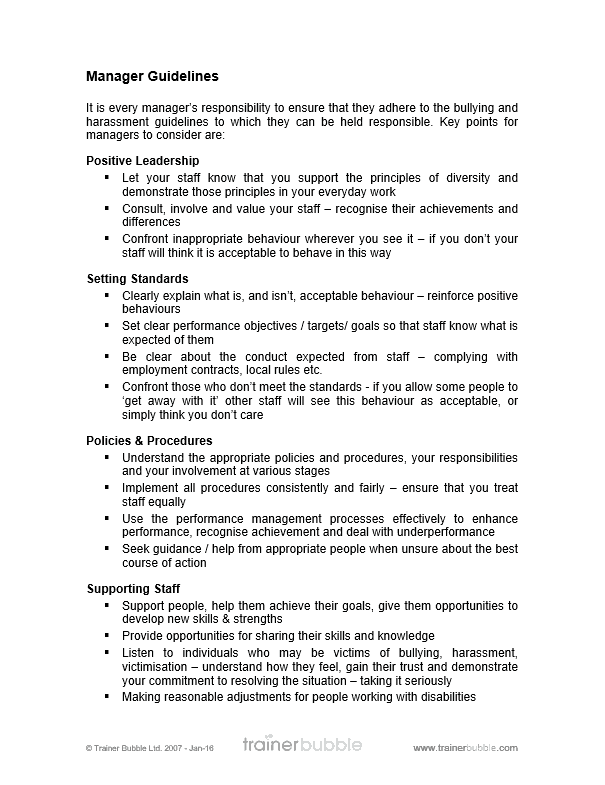 The consequences of not training your employees on this subject could be extremely damaging to your organisation. 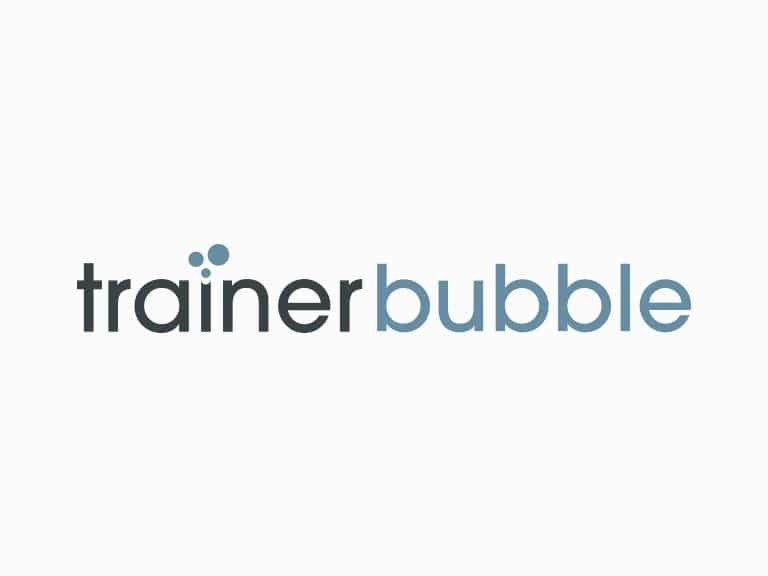 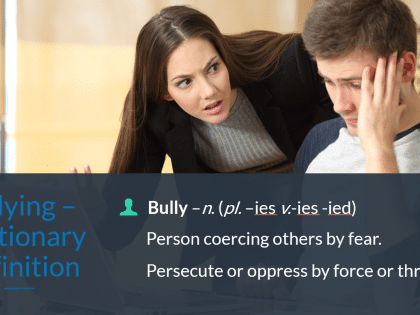 These training materials will help develop the awareness and understanding of bullying and harassment for your participants and ensure you deliver a successful bullying and harassment training course. 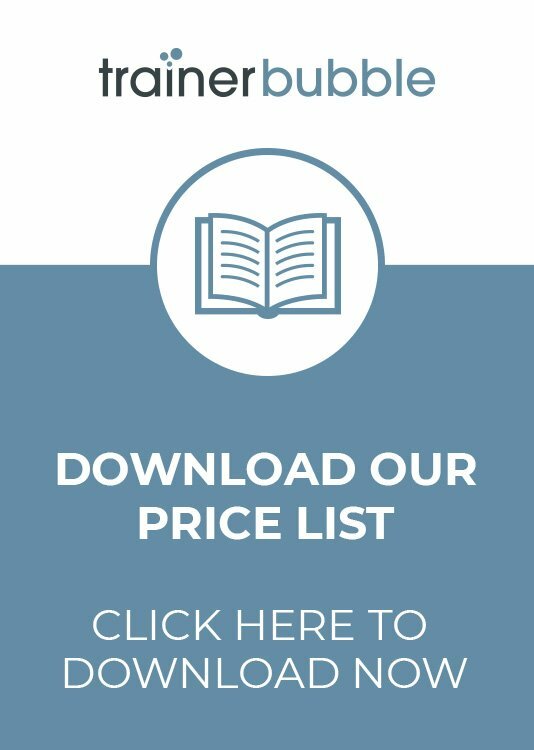 As well as the contents of the training pack listed above, you will also receive several case studies with this course. 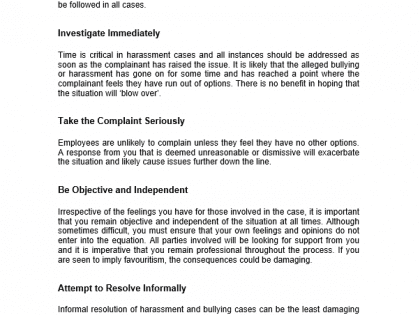 Harassment and bullying behaviour in the workplace is unpleasant and offensive. 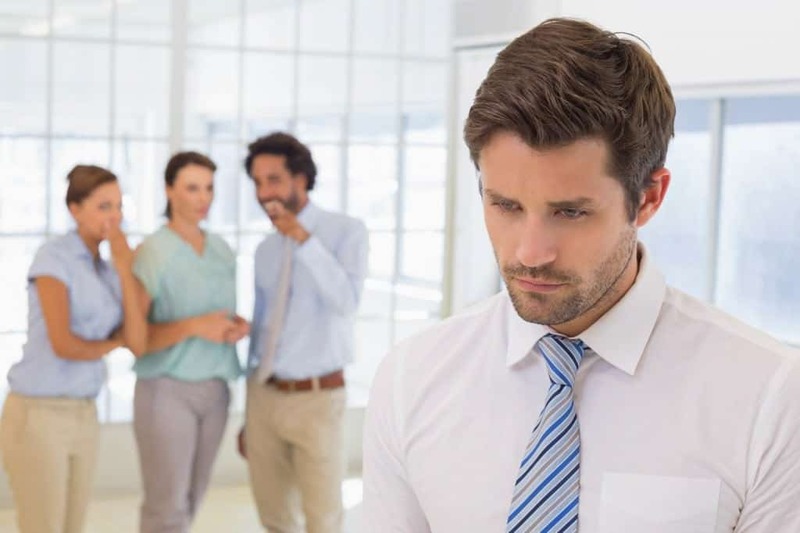 It can affect an individual’s professional performance and psychological welfare, and can be so destructive that the effects continue after work, devastating personal lives as well as careers. 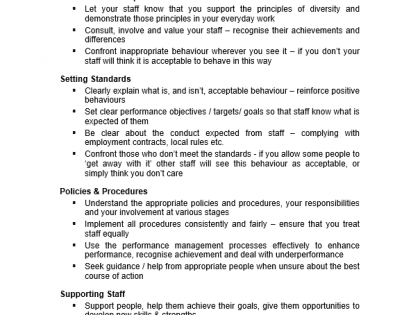 Harassment and bullying can result in low morale, increased sickness absence or resignations. 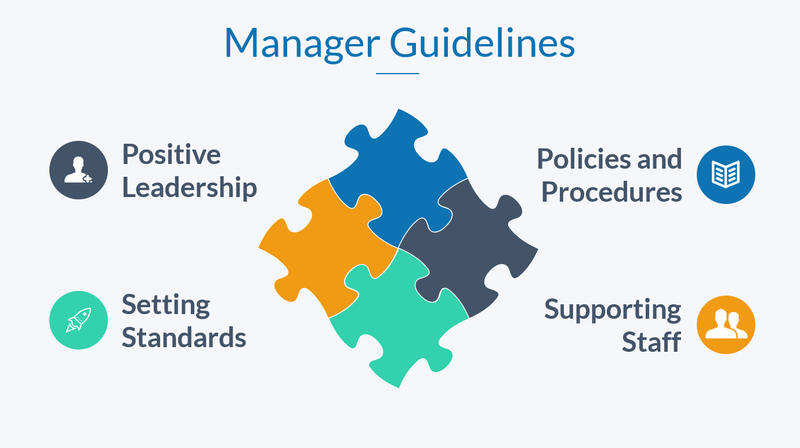 If a complaint is made to an Employment Tribunal, or civil proceedings taken to court, an organisation may also suffer expensive litigation, adverse publicity and a loss of customers. 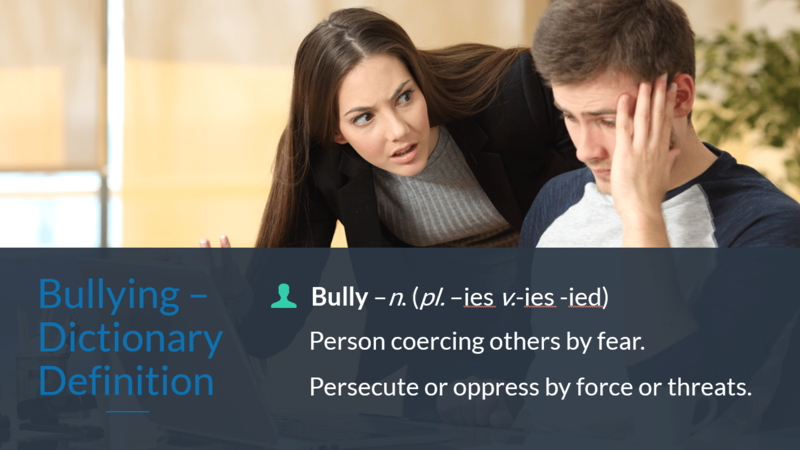 It is in everyone’s best interests to have a workplace free of harassment and bullying. 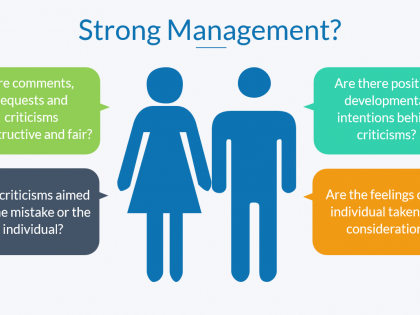 These training materials set out to answer the common questions, concerns and legal implications of bullying and harassment in the workplace. 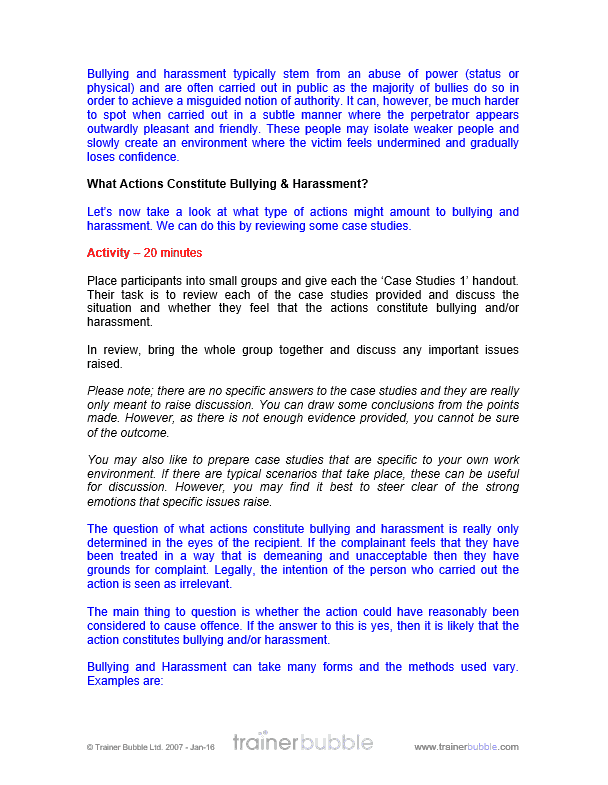 They look at the issue of bullying and harassment from every point of view and help provide your participants with useful advice in dealing with issues as the victim of harassment, the organisation or the accused. 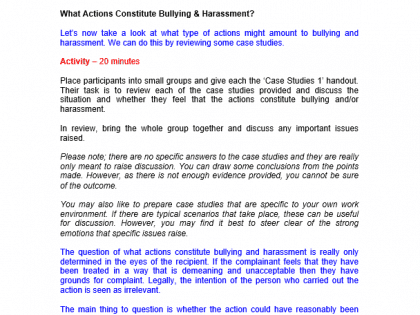 Dealing with Bullying & Harassment Scenarios – An examination of several case studies and the preferred actions to take in each case. 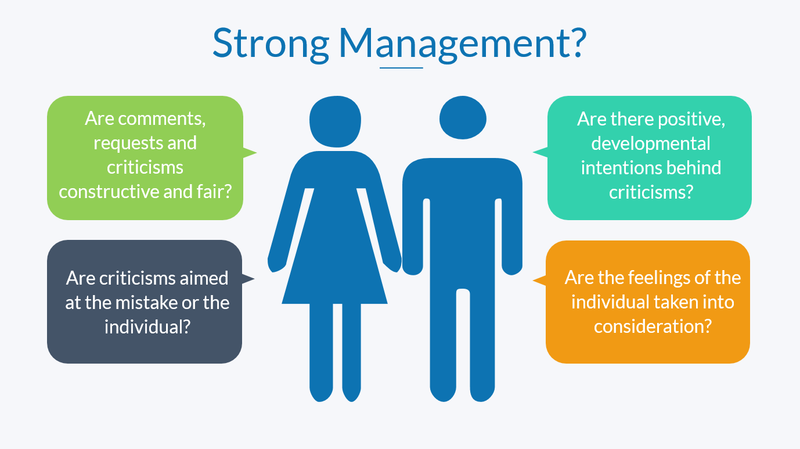 This will help participants appreciate how to deal with cases from different perspectives i.e. 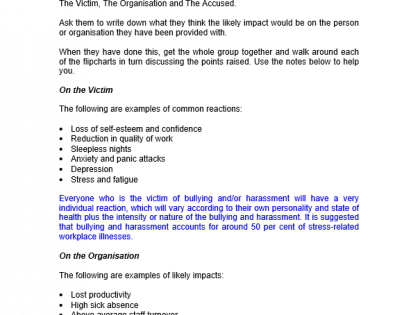 if they are harassed, if they feel others are etc. 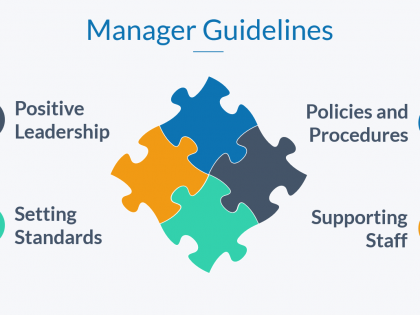 Please Note: The legal definitions outlined in this session are based on UK law and although easily adaptable, should be purchased with this in mind.